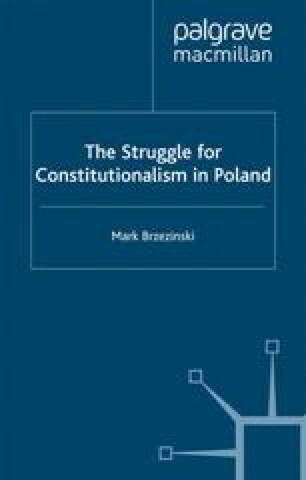 This chapter provides an historic overview of Polish constitutional development. Part A discusses early Polish constitutional history, which finds its roots in the thirteenth century. Part B analyzes the Polish constitution of 1791, probably the most symbolic and enduring document in Polish history. Part C examines the progressive political developments that occurred during Poland’s years of partition. Part D discusses the reemergence of constitutional government in Poland after World War I, focusing specifically on the 1921 and 1935 constitutions. This part highlights the influence of Jozef Pilsudski on the constitutional changes that occurred in Poland during the inter-war period.